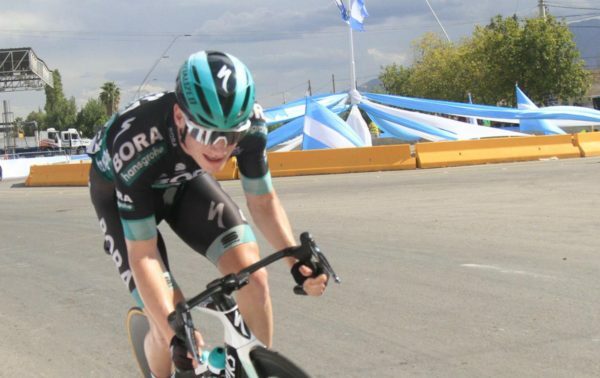 He may be riding only his opening race of the season but Conor Dunne has already shown some great form at the Vuelta a San Juan in Argentina. Conor Dunne has taken one of the best results of his pro career with 11th on stage 3 of Vuelta a San Juan. The Israel Cycling Academy rider, and Irish elite champion, just missed out on making the top 10 in the test in Argentina. On the out and back 12km pan flat course, starting and finishing in Pocito, he recorded a time of 14:14, just two seconds behind Oscar Sevilla. The now 42-year-old Sevilla is a former top WorldTour pro who won this race last year and is now riding for the Medellin Continental team. 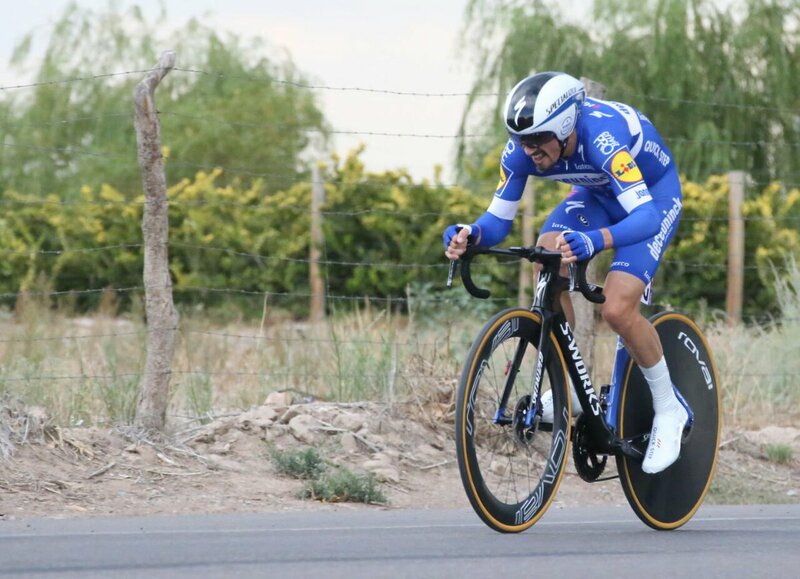 Dunne was 33 seconds slower than TT winner Julian Alaphilippe (Deceuninck-QuickStep); who also won the second stage on Monday. And the Frenchman has now taken the race lead from stage 1 winner Fernando Gaviria (UAE Team Emirates). The runner-up in the TT was Gaviria’s team mate Valerio Conti, a significant 12 seconds down on the flying winner. 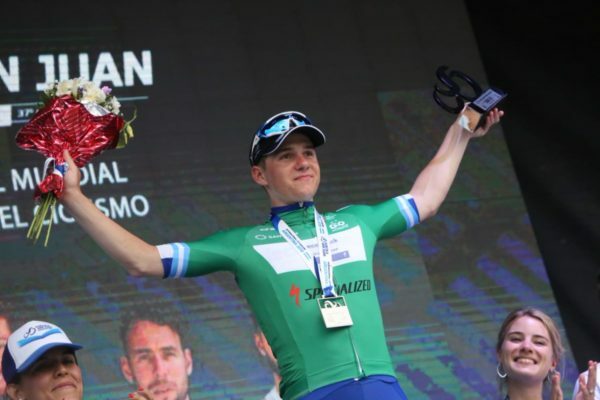 And then came Alaphilippe’s Deceuninck-QuickStep team mate; Belgian prodigy Remco Evenepoel. Though just 19-years-old and riding his first race as a pro, he not only took 3rd yesterday but also leads the young rider classification. The world junior road race and TT champion from last year, Evenepoel finished on the same time as Conti and is now 4th overall. Having blasted to 11th in the test, in which the riders used their road bikes, Dunne is now 16th overall at 1:01. He would be just inside the top 10 if he hadn’t lost time on stage 2 which featured a climb just before the finish. 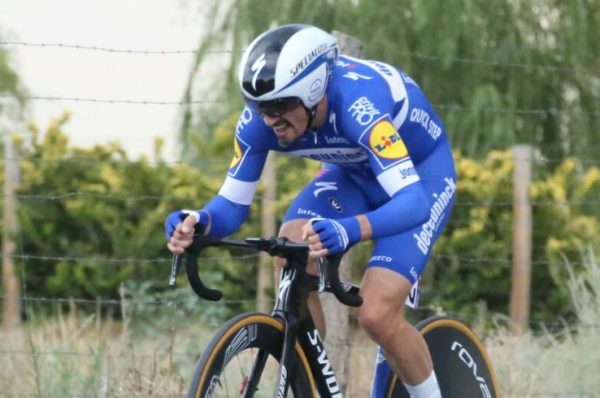 Alaphilippe attacked over the top of the climb and held off the reduced peloton on the tailwind-assisted run to the line. When a gap opened at the back of the strung out 36-man field, Dunne was on the wrong side of it. He lost 18 seconds, finishing in 40th. He would be 10th overall now but for losing out. On Wednesday stage 4 takes the riders 186km into Valle Fértil Villa San Agustín. There are two cat 1 climbs one after another around the halfway point. 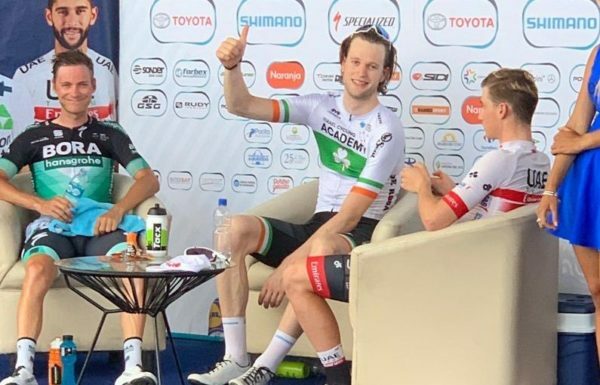 The only other Irish rider in race, Sam Bennett has taken a back seat for the past two days after placing 3rd on Sunday. Bennett (Bora-hansgrohe) finished just over 8½ minutes down on stage 2 and placed 83rd yesterday in the TT at 2:04. He’ll get another chance to sprint on Sunday’s final stage which is flat. Bennett may also possibly be in with a shout on Friday and Saturday. However, the finales of both of those stages are undulating and a lot will depend on how hard they are raced from a long way out.